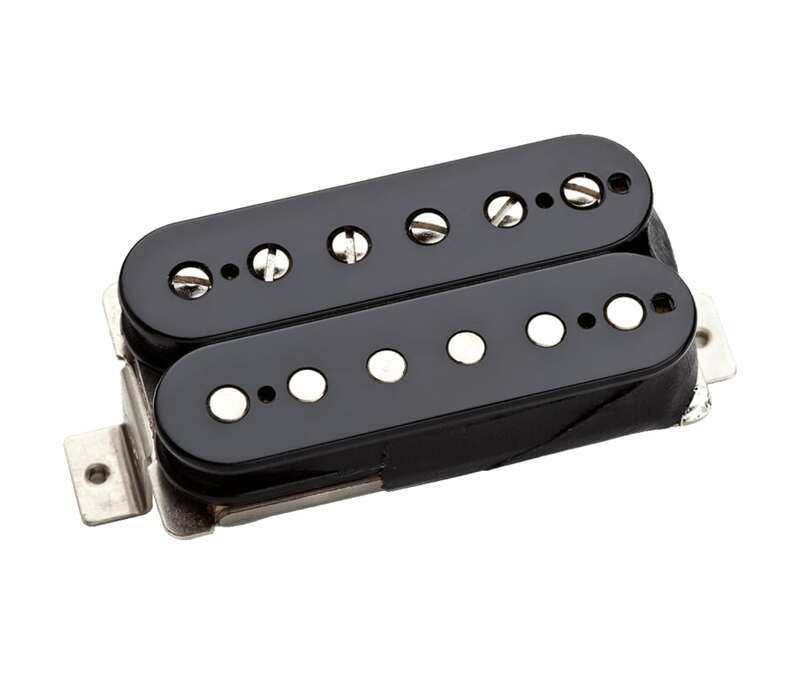 The '59 Model neck pickup is one of Seymour Duncan's most popular pickups because it's so versatile. It's designed in the spirit of the original P.A.F. humbuckers of the 1950s, with sweet sustain, full-sounding chords, clear and bright attack, but they've made a few refinements to slightly modernize the design and make it more adaptable to different styles. The '59 has a full low end which is great for adding character to your clean sounds and sustain to your leads. The high end is slightly boosted for improved pick-attack clarity and the mids are a little scooped for an open, smooth sound that's great for preserving the clarity of the individual notes in a chord. Play softly and the mids and highs seem to fade back, but pick hard and the note will be confident and clear. There isn't a genre that the '59 can't work within. It pairs nicely with a high output bridge humbucker like the JB or Custom but is equally at home with more moderate pickups like the '59 bridge. And it's a popular choice for those with humbucker-routed Telecasters as well. And if you order a four-conductor version for coil splitting, its single coil mode is crystal clear. The '59 Model neck pickup is wound on Seymour's Leesona 102 pickup winding machine, the very one that was used in the Gibson factory in Kalamazoo, MI in the 1950s. It comes standard with a long-legged nickel silver bottom plate, vintage single conductor braided push back lead wire and no logo.